To mark this special year, we have teamed up with Cancer Research UK to offer you the unique opportunity to become part of our beautiful theatre’s history whilst helping to save lives. 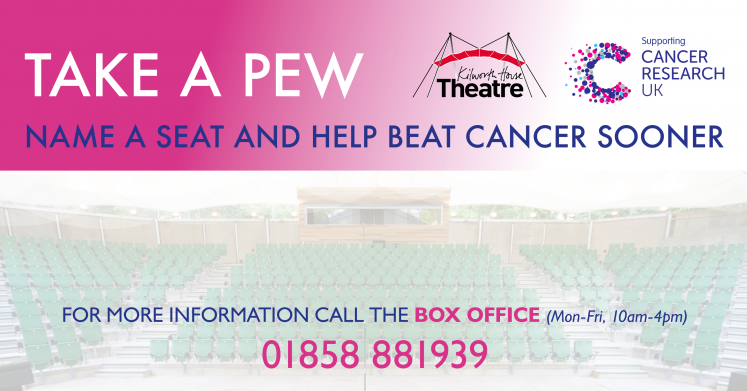 ‘TAKE A PEW’ is our brand new fundraising initiative, offering you the chance to name a seat of your choice, with every penny going towards their life-saving research. For just £250, an engraved named plaque on one of our 550 seats makes a thoughtful gift for life or special memorial to a loved one, or perhaps a group name. Seat plaques are in place for the lifetime of Kilworth House theatre. All £250 will go to Cancer Research UK. 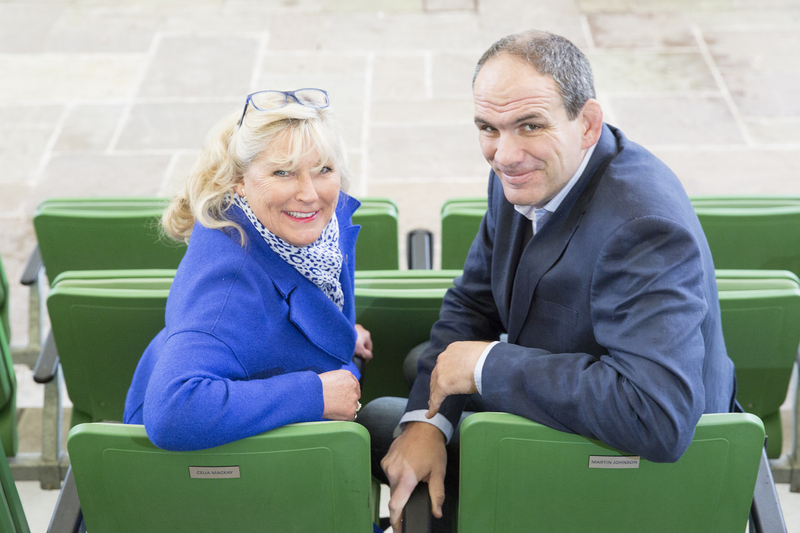 Celia Mackay (Founder) with Rugby legend Martin Johnson CBE who is the first to support our TAKE A PEW fundraising initiative. Share Kilworth House Theatre: Would you like to do more? The theatre season has now finished.